Reduced passenger numbers have led the board of directors of Angolan airline TAAG to bring flights to Dubai (United Arab Emirates) to a halt and to reduce links to São Paulo (Brazil) until October, said the company’s spokesman. 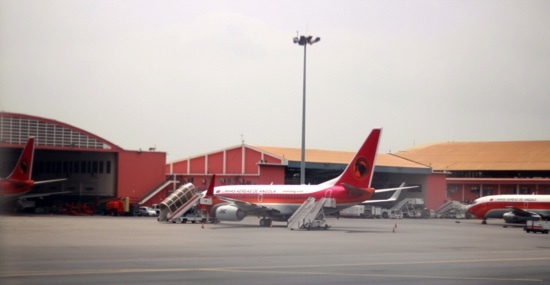 Carlos Vicente, cited by Angolan TV, said “the fall recorded in the aircraft load factor is the basis for the board’s decision” and mentioned some flights out of Dubai to Luanda were nearly empty, at less than half capacity. Vicente said the aircraft used on the Luanda/Dubai route were Boeing 777-300s with over 200 seats and on the connection between Luanda and Dubai were carrying fewer than 50 passengers. According to Vicente the last flight to Dubai was carried out on 18 July and he added that those who want to travel to the United Arab Emirates would have to resort to other airlines, and that passengers who had already bought tickets would have their rights safeguarded. The inaugural flight of the Angolan airline from Luanda to Dubai took place in May 2008 with a technical stopover in Addis Ababa, Ethiopia, and it carried 122 people of a total capacity of 420 passengers.